Just a friendly reminder that the Sunrise Rotary is having its annual food drive to benefit Gleaner's Food Bank. 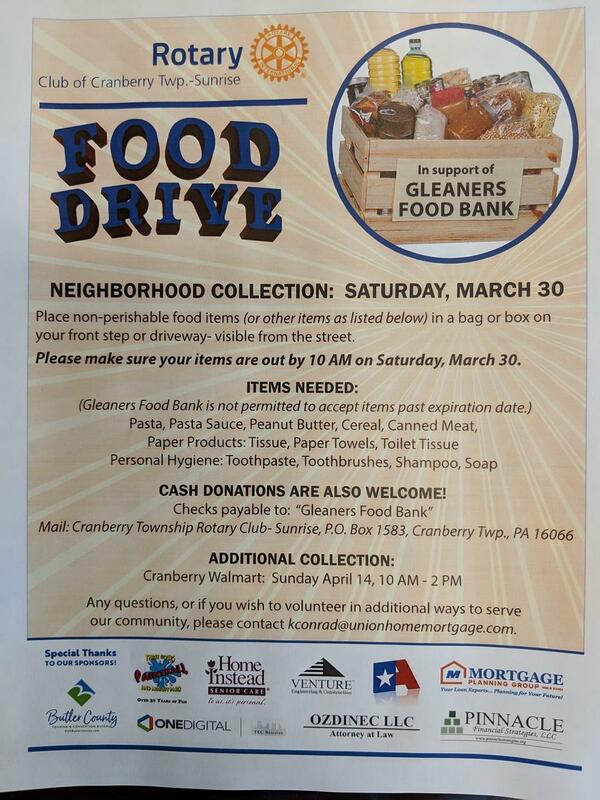 We need help to stuff and deliver bags to 5,000 mailboxes in the area on Saturday March 23. Then we'll need help for pickup on Saturday, March 30. Thanks to all of our corporate partners! If you are interested in helping, please contact us or better yet come to a meeting! 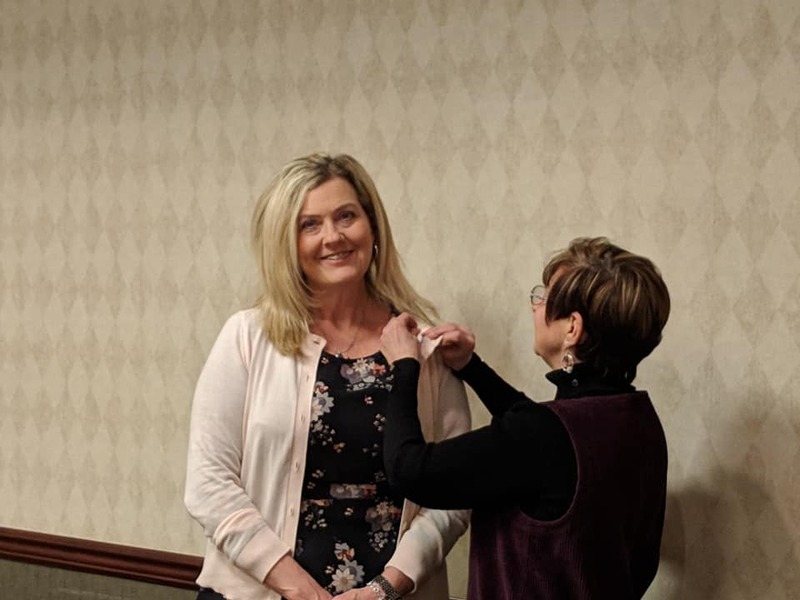 President Elayne Wilhelm pinning out Rotary pin to new member Mary Adams! Welcome Mary! 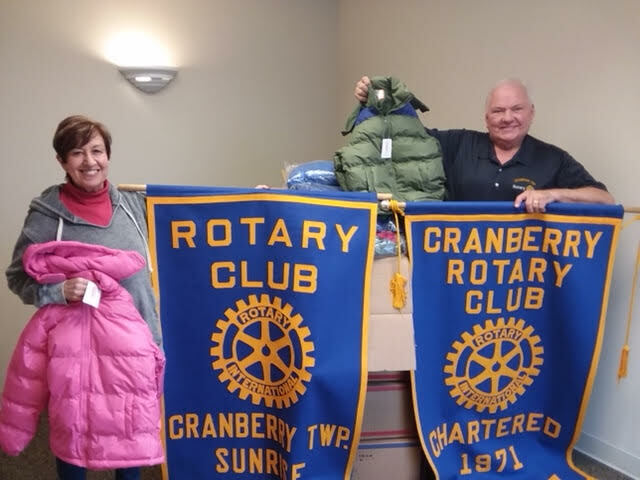 This winter we contributed to the Operation Warm effort in Cranberry Township, providing new coats to children in need made from recyclable materials. Here is a photo of our President, Elayne Wilhelm displaying the finished product before being handed out to children locally. SAVE THE DATE - On May 17-19, 2019, will be the District 7280 Conference. 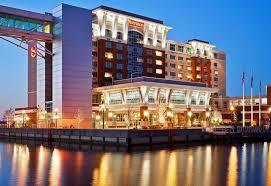 The conference will be held at the Sheraton Erie Bayfront. 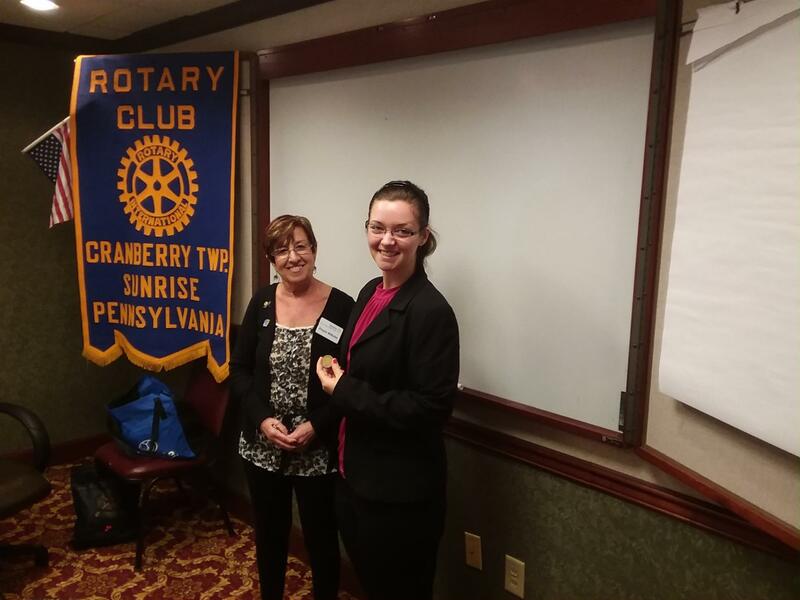 On September 14, 2018, we learned about the important and impactful work performed by Bethany Christian Services, an agency dedicated to bringing and keeping families together. 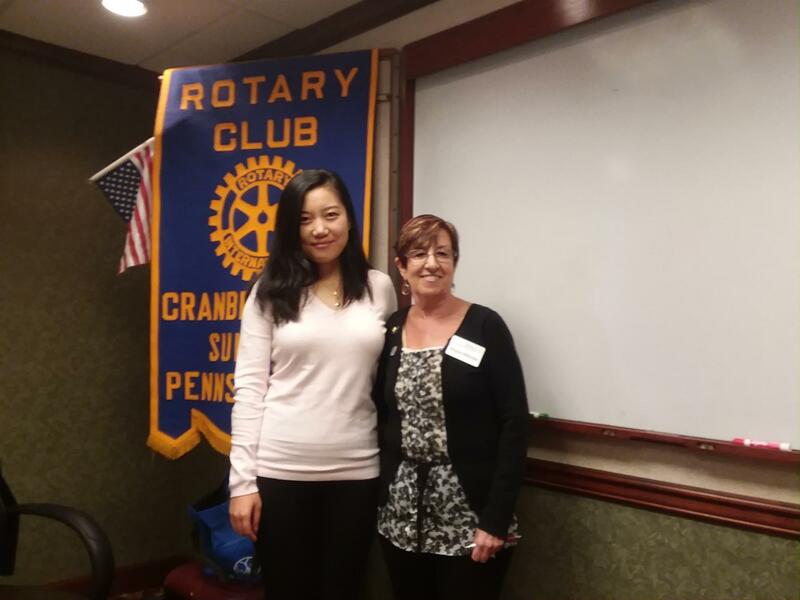 On August 31, 2018, our District Governor, Scott Bayline, presented to our Club. During his presentation, Scott stated that when he is asked the question "what is Rotary", he responds that, to him, "Rotary is a forward looking global non-profit working on bettering our community". 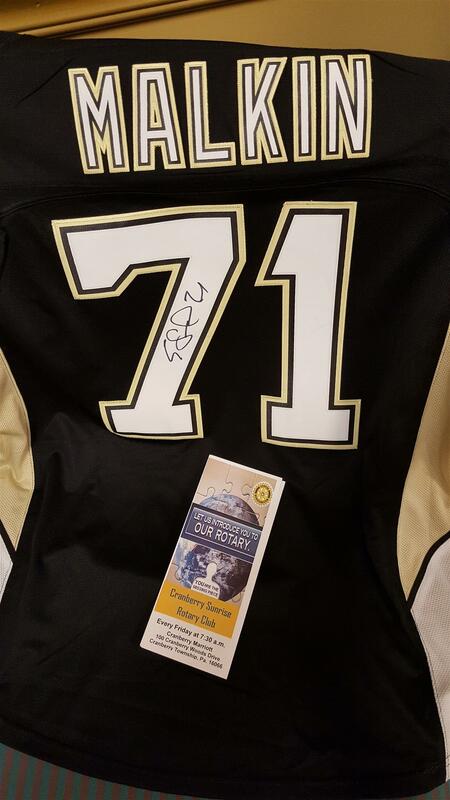 Sponsorship opportunities available for businesses as well! 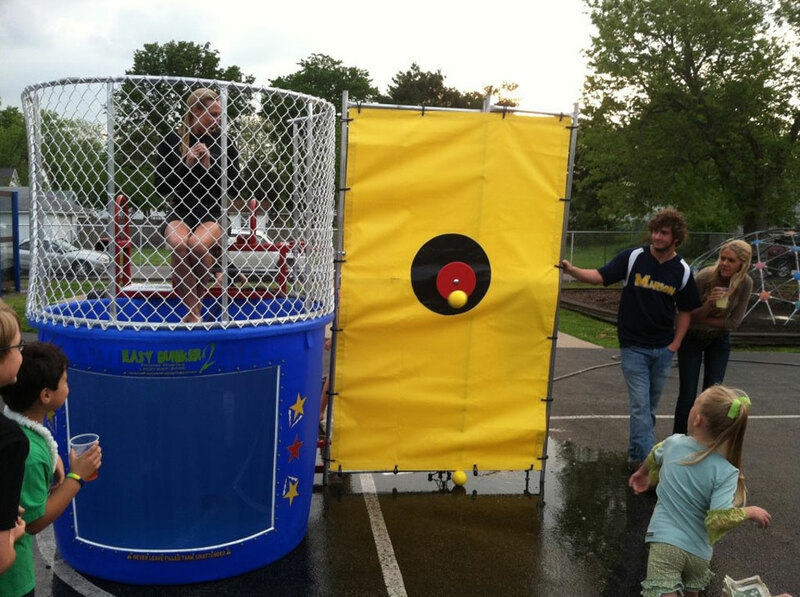 Come support the Rotary Club at the 2017 Community Days on Friday and Saturday and dunk some of your favorite community members at the Rotary Dunk Tank!